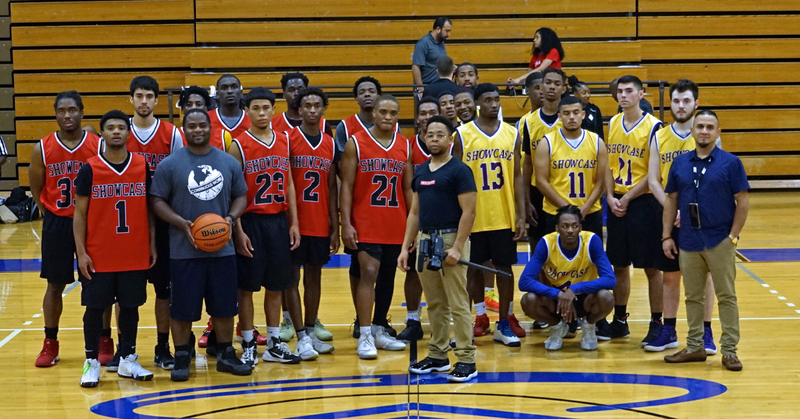 The Texas Basketball Scouts Post-Grad/Transfer Basketball Showcase was held on Sunday, November 25, 2018 at Our Lady of the Lake University in San Antonio, TX. The game film & roster are below. All game footage from the showcase is also available to watch on YouTube. Daryon Grant: 6’6″ 190 lbs. Tristen Burks: 6’4″ 190 lbs. Kalu Idika: 6’0″ 190 lbs. Andre Brown: 6’1″ 181 lbs. Delvin Palmer: 6’2″ 182 lbs. DeMichael Mims: 5’10” 155 lbs. Aaron Standley: 6’2″ 162 lbs. Jase Hickey: 6’1″ 190 lbs. John Wilson: 6’3″ 198 lbs. Deonte Allen: 6’0″ 164 lbs. Aaron Polanco: 6’5″ 170 lbs. Christopher Gonzales: 5’9″ 180 lbs. College Coaches: Contact us if you are interested in any of the players that participated in the showcase. Subscribe to our email list if you would like to receive automatic updates about future showcases.